You missed our holiday party. Working? … of course we’re working. None of that “We’ll get to it after the Holidays” BS here at Blunt Farce. Oh sure, the going can be a bit slow if/when you’re counting on somebody else (hello customer service at our animation company.) but that is no excuse to stop pushing forward as best as humanly possible. …and that is what we’ve been doing. So we’re happy to report that – as of just 10 minutes ago – we have PICTURE LOCK on Episode 3 of Bud Fallbrook. It wasn’t easy, but we finally locked down the pictures and voice-overs for the entire episode (nearly seven minutes of animation.) 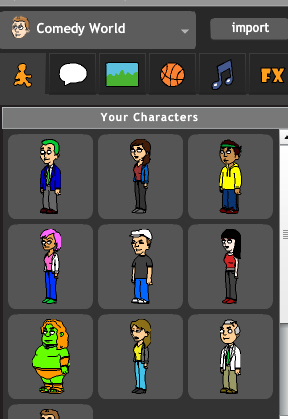 …and yes, there was some trouble with the ‘GoAnimate’ software but hopefully THAT is all now in the past. The next step in the production pipeline is to send what we have so far over to the ‘Evil Twine’ side… where they’ll add all the music and Sound Effects. Their work might then necessitate some minor tweaks to the animation etc etc… but we’re getting there. Of course at this rate we’ll probably have it done juuuuust before Christmas – exactly when everyone is too busy to watch videos… hmmm… maybe we’ll delay posting it until after January 1st. I know, I know… some of our more vocal fans keep reminding us how long they’ve been waiting for a new episode – We hear you. We do. We’re going as fast as we can. Nothing new to report on any of the other possible projects… all of those require input from outside sources & people…. and I guess they’re all too busy decking their halls and what have you. Have a Safe & Happy Holiday season everyone. 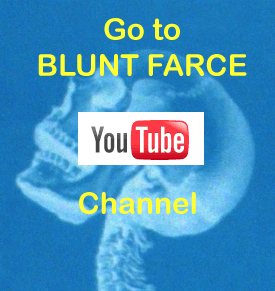 We’re thinking 2011 will be a big year here at Blunt Farce… thanks for coming along for the ride. ← The Meaning of Radio Silence.